Yeah! It’s been a while i’m not update on our night touge session, a lot of night touge session i’ve been miss to write the report.. Ahh! Past is Past. 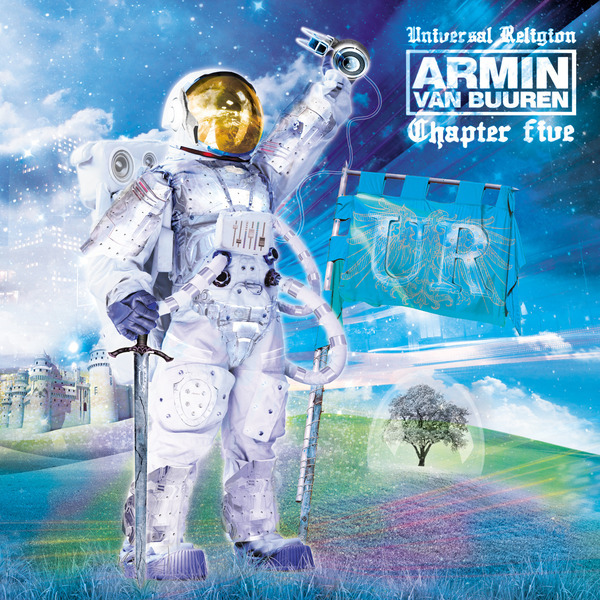 Now i’m writing back while listening into Armin Van Buuren : Universal Religion collection that i had about 90 tracklist. I need to be relax while writing same as when i’m drive in touge. Yeap! Trance bring me a beautiful journey in touge. I can be more relax while listening to Trance in touge. 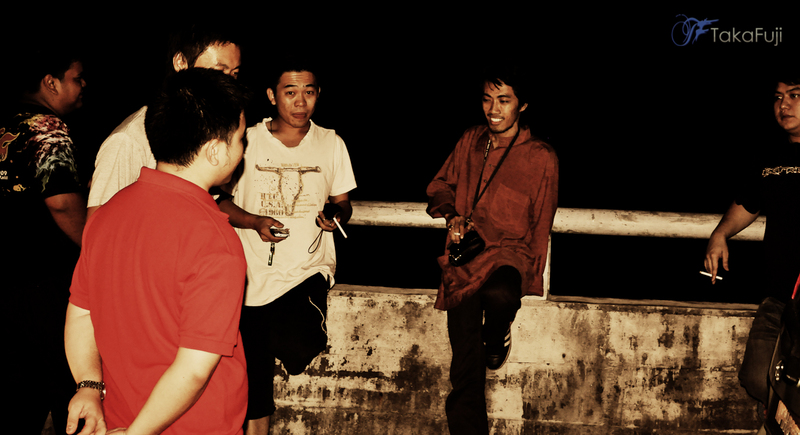 When others serious and full of driving emotion, i just smile and follow the flow. Btw, i just slow drive. hahaha.. Okiey! !Now we gonna talk about our latest activity. Herm.. What we had back there. Actually it’s not a plan to had a touge this week, but friends ask for it. Jeng! Jeng! Jeng!haha.. a RSVP has been created very-very late on last friday evening at 2.30pm after friday prayer. 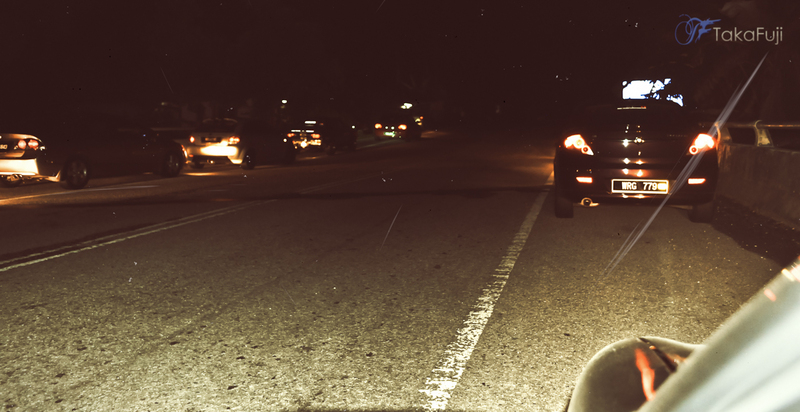 What a last call and in my first prediction it gonna be a little touge. Hafis Moncet told me got 4 cars from his side, i waited about a few hours and there got some sms & touge call from friends. After Isya’ i went to Don’s Char Kuew Teow for lepak a while waiting the clock show 11.30pm. Then i back home prep-up my gears to be packed and checked that Violet in good condition. Btw, rear tires not in good traction and i will be snap-out in any time if there do some mistake. Sharp 11.30pm i and alip botak move out and headed to Touge Bistro. 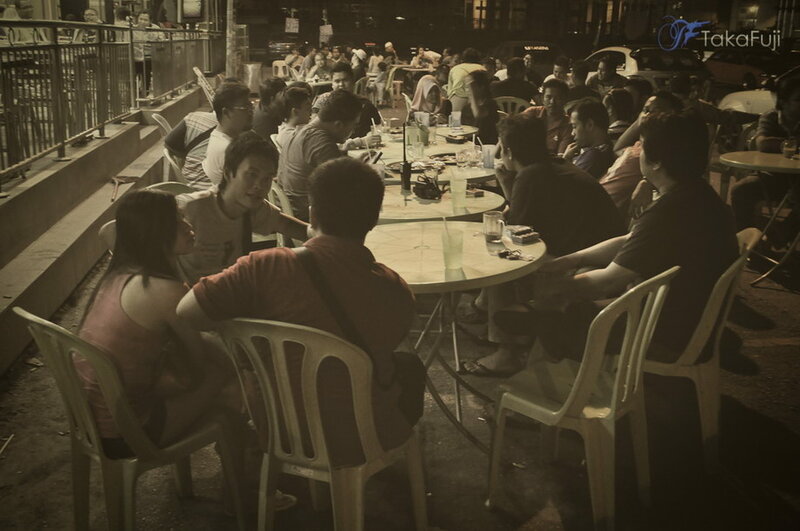 At Touge Bistro, Afif, Hafis Moncet and friends already arrived and also Taiko J 120Y also early that night. Thanks for Mizta & abam for reserved us soem table.. haha.. 10sec after i parked vee, Jack and his friend “ken”(if not mistake) came with his silver Neo. Haha.. once arrived he already mention that he gonna drive slow in Group D. due his front absober already “out of service”. While lepak a while, around 15 minutes here come ah.hong with his Wira. Eh.. He not come alone also, bring along his partner, ahh forgot to ask what name :p.
1.12AM, we start moving from Gombak Bridge for our hillclimb session. An there i dont see anyone in Group D, hahaha.. hey.. where had u been jack. hahaa.. The last car which new in touge, kay’s friend who’s ride in Green Satria, while the second last is me and third last is Mizta. Btw after i passed Green satria, i just start cruise drive and at my front is nobody there.. After Kudut Curve, i start throttling medium fast for a while then i noticed a noisy sound at my front left wheel, ahh what the Fox is that sound already made me little worried, Then not much video been recorded since i’m cruiser.. hehehe.. Arrived at Roundabout, i checkout what noisy is that, ahh, little prob only, the mud-guard a little broken and touched with my tires. There, amer pomen ask for leave first because he need to wake-up early next morning. 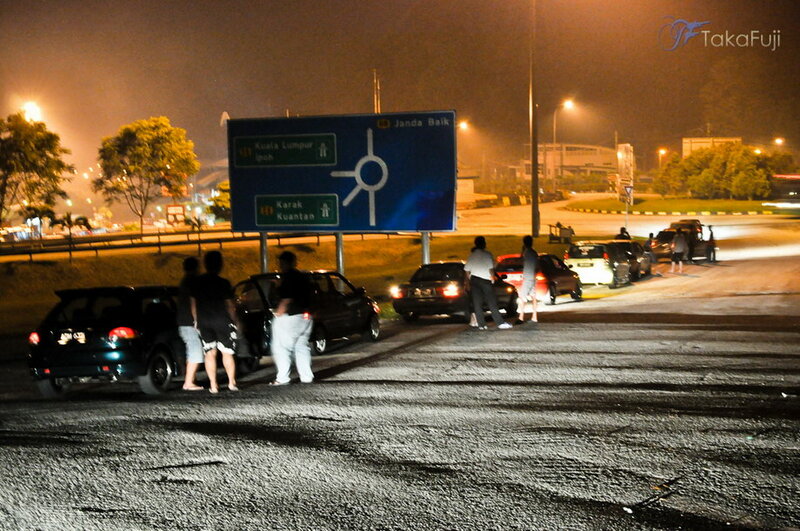 Some other went to Petronas GS for re-fuel and pee. Then we went climb again to Gohtong for wide touge course. Jack took a lead chased by Lim and Mizta then i donno what action movie happened up there. Then ah.hong passed me and we had fun around snake downhill area. At the back i cannot see their action. yay! a lot of fun. At the straight line of Gohtong we just cruised wait for others then arrived Awana Mamak for TT Session. ah.hong and lim headed back with their angel ^.^. Herm.. Our fun doesn’t stop there, and now the story for downhill session from Awana Gohtong to Gombak Check it Out! Ahh.. for this event, my driving style has been changed a little, from i handed wheel control to both hand handling. Feel more confidence and more fun drive tailgate (^.^) bumper to exhaust scene is really syiok :-). Okay.. Would like to thanks everyone who came, we share and created new friendship there. Oyeah Oyeah! Love you All.